The Architect’s Newspaper: Can you talk about what brought you to Philadelphia to study and teach? Denise Scott Brown: Peter and Alison Smithson, our gurus at the London Architectural Association (Peter wasn’t teaching there then) intrigued us with their New Brutalism. After the war, young architects with passion wanted to follow Le Corbusier’s urban visions and rebuild Europe’s cities, and the brightest wanted to study urban planning in America first. But the Smithsons contested the idea of “decanting” the London poor into the rural, middle-class “New Towns,” and produced models following their street-life patterns for rebuilding in cities on bombed sites. This is what Brutalism stood for then, not the overwrought use of unfinished concrete. The Smithsons and Louis Kahn met over debates on this subject through CIAM and their 15-year correspondence is in the Smithson archives at Harvard. 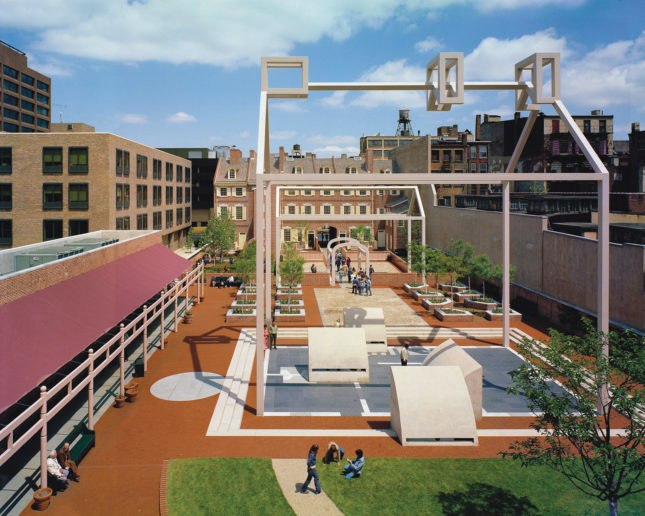 So when Peter said the only place to go for city planning was the University of Pennsylvania because Louis Kahn taught there, Robert Scott Brown and I went. But before we left, we read an article in Time Magazine about Philadelphia and the planning we would encounter there thanks to its liberal reform government. 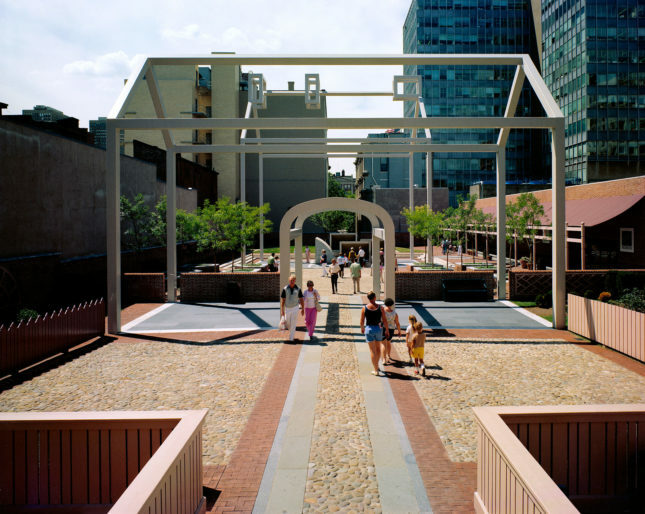 A “white noose” of suburbs lay around the neck of a center city that was half black and half white, and measures were under discussion to keep blacks out of Philadelphia’s center. I was surprised. This was not happening secretly—it was openly discussed—just like in my sad and miserable country of South Africa, people in Philadelphia were practicing apartheid. In the 1940s Kahn belonged to a citizens’ group for city planning that convened under the reformed government and was good at purveying planning facts via metaphors intriguing to architects. The ideas in his famous street plan came from this group—our transportation professor, Robert Mitchell, belonged too, and behind Lou’s plan I recognized the content of Mitchell’s lectures. solution to urban-rural disconnection in mass cities. Trains, we suggested, should travel at 100 miles an hour. When teachers observed that would be too fast for transit stops, we replied, “That doesn’t matter!” We were early modern machine romantics. Formulating the questions was Penn’s planning school’s strength. But we learned it from social scientists and activists, not architects. Faculty and students in the architecture department were unaware it was happening. The planning school was in the school of architecture? Yes. How did a great socially based planning school develop in a school of architecture? The key was research. When federal urban renewal programs were created in the 1940s, research was mandated. But where would you put it? At first, architecture schools where cities were designed were the only receptacles for this largesse. So Penn’s Institute for Urban Studies hired Mitchell, architect turned transportation planner; Martin Meyerson, who came out of Penn and the University of Chicago; Herbert Gans, a city planning doctoral student (Penn’s first); C. Britton Harris and Jack Dyckman from Chicago; William Wheaton from Princeton and Harvard; and a young Paul Davidoff from Yale Law School. They were high-powered people, some, like Wheaton, were influential in Washington and were rainmakers for the school. Universities use programs to fund activities temporarily while they are of interest. The Graduate School of Fine Arts’ Institute for Urban Studies was one of Penn’s first, but more followed as other departments tapped federal urban-related money. The presence of its young researchers was one of the reasons Robert Scott Brown and I found Penn to be the most exciting intellectual atmosphere we’d been in on three continents. People at Penn were thinking about the things we were thinking about, and thrilled to have us. But this was not so among the architects. Architect planners like David Crane, our student advisor, had the same straddling problems I had. 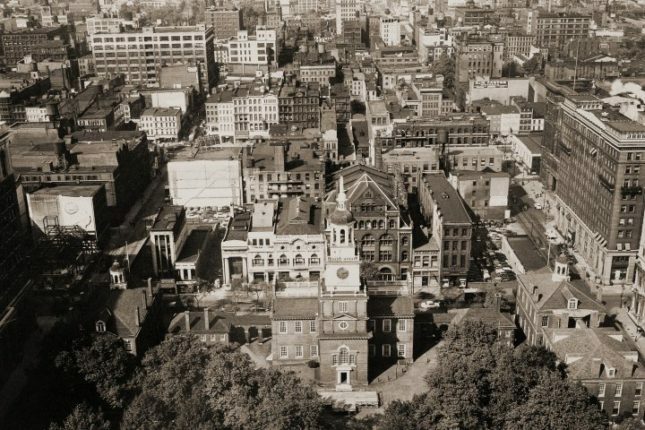 Whereas in London, architects approached urban planning because it was the going game, in America, you went there when you found you were not good at design. So I was seen as a non-designer in Penn architecture and was not invited to participate as I had been in England. But the American architectural elite had not yet caught up with Team Ten and the New Brutalism. Lou of course knew them and I introduced them to Bob and my students. By that time Robert was dead, people here had rallied to help me, I had formed lifelong friendships, and in 1960 I had begun teaching in the planning department. In 1961, I started teaching the fall semester theories course for architects and was given a joint appointment in architecture and in planning. This meant I was the only full-time person teaching in architecture. The architects spent three afternoons a week in the school, whereas I was there day and night. To connect the studio and the theories course, I gave studio crits at night, so I had good ties with beginning architecture students, and very good ties with planning students by teaching studio and kibitzing in their theory course taught by Paul Davidoff. So, I saw things that few faculty, and none in architecture, saw, especially around the turmoil going on in social planning. It was 1961—an enlivening time in American cities and at Penn. But the architects didn’t notice. What was the turmoil about? There was social unrest in cities related to injustice and particularly to urban renewal, seen as “human removal.” And when the social planners erupted at Penn, architects asked, “Who are these people horning in on our field? 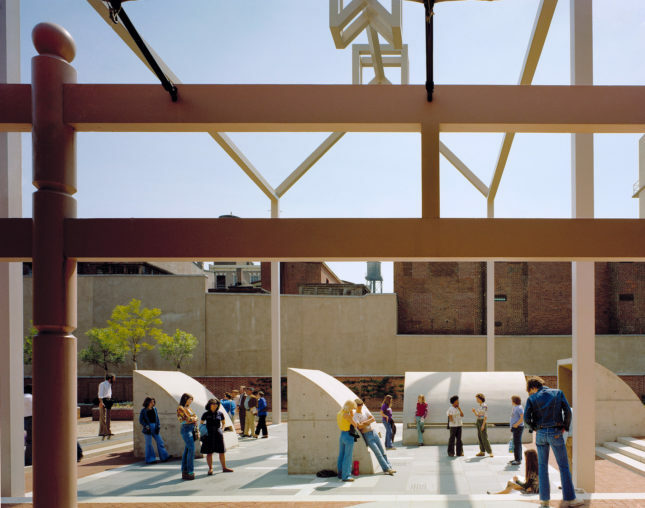 We were doing very nicely without them.” They said, “don’t fix what ain’t broke.” So eventually all the planners left Penn, as well as many architects who were not Harvard-trained modernists. This was because research money dried up with Nixon and Reagan, but also because our dean, great in many respects, saw Harvard as the shining model for architectural education. So nonconformists were not reappointed, and beyond the social planners, Crane and I left and Bob too, and Penn lost the opportunity to be the first school to build on the early links then forming, over our somewhat mangled bodies, between the social and the physical in architecture. Bill Wheaton invited me to be a visiting professor at Berkeley, so I taught there during the Foul Speech movement, one semester after the Free Speech movement, at Berkeley. Then I went on to start a school of architecture at UCLA. I was one of three founding faculty members there, and I taught studio as I had learned from Dave Crane’s planning studios. This was the model for the Learning From Las Vegas studio, and is the reason why every school of architecture now has one teamwork, urban project studio with a visit somewhere. Sadly they’re often junkets, not real research. This model of teaching comes out of planning? Yes but it needed adapting for architects and very careful putting together. 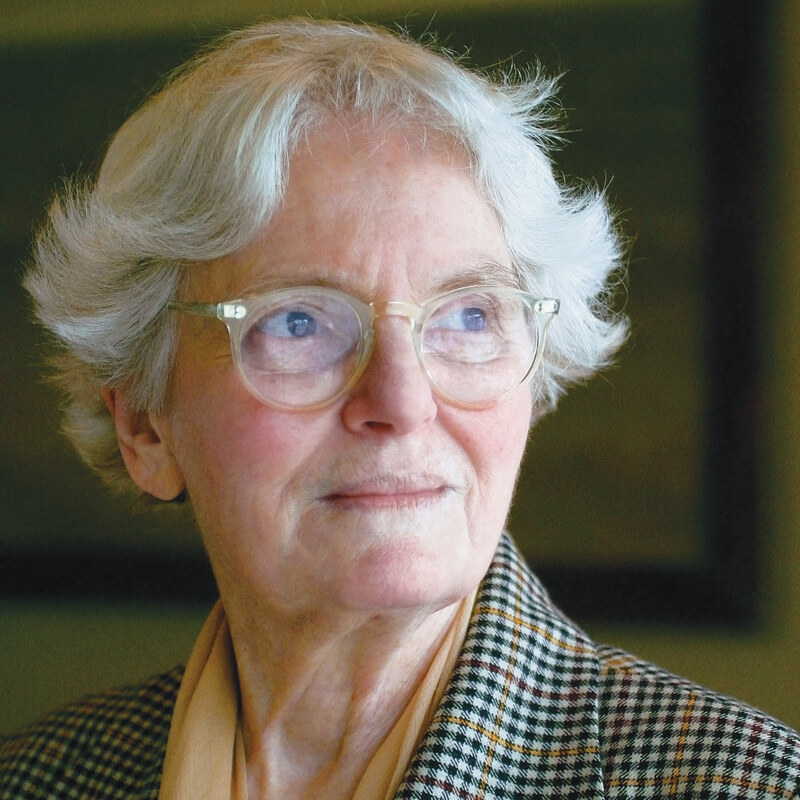 Dave Crane pushed me at Penn to study regional science, an economic discipline, nicknamed “city physics.” It helped me greatly in connecting form and forces with architects. But at UCLA I taught urban design and brought in experts from various fields. The principal was George Dudley, who I had worked with in New York, and Henry Lu, Peter Kamnitzer, and I were faculty. I ran the first studio and set the model for interdisciplinary teaching via studio. “Determinants of urban form,” my subject, investigated the forces that make form, and how to design with them. In team studios everyone shared information collected for the project with everyone else and we all shared the project. In that way everyone saw how the whole thing was put together.